Lavender essential oil is a natural mosquito repellant. You can add a few drop to a ribbon and hang it by an open window and your home will be mosquito free. Make your own natural mosquito repellent to wear by mixing 30 drops of lavender oil with 2 tablespoons of extra virgin olive oil and apply it to your skin before heading outside. You can also add a tablespoon of Aloe Vera gel for additional moisturizing benefits. You can apply these mixtures directly to your skin or use a spray bottle to spray your clothing as well. If mosquitoes pester you while you are barbecuing, there is an easy repellent you should try. Simply place a few stalks of rosemary on the coals of your grill and mosquitoes will stay away, not to mention this will add more flavor to what you are grilling up. Garlic contains a number of antioxidants that are beneficial to your health but it can also be used as a mosquito repellent. When you eat garlic, the oil gets released through the pores of your skin, which creates a barrier that mosquitoes won't want to break through. You can also rub pure garlic oil on the skin directly, which is even better at keeping mosquitoes off you. While this can be an effective way to repel mosquitoes, it may also keep some of your friends and family away as well. How to prevent mosquito bite naturally with this method? Apple cider vinegar can be mixed up in a drink to help keep mosquitoes off you. For this, you will want to mix 2 tablespoons of apple cider vinegar with 16 ounces of water and a tablespoon of honey. It is not only great for keeping mosquitoes away, it is great for your health as well. Neem oil is extracted from the Neem tree and is a natural insecticide commonly used on plants. This oil is also safe for humans to use and it will do a great job at keeping mosquitoes away. To create your own repellent, combine a few drops of Neem oil with unscented natural oil or your favorite moisturizer and apply on the skin. This is one of the most commonly used mosquito repellents, but typically only repels mosquitoes for about 20 minutes. Citronella candles are usually a staple at backyard gatherings and BBQs since they don't give off an unpleasant smell and for a short time, you won't have to worry about any mosquitoes. You can also find citronella oil to create your own mosquito repellent spray. Combine 25 drops of the citronella essential oil with a quarter cup of water or a quarter cup of apple cider vinegar. Mix the ingredients in a glass jar and shake until everything is well incorporated. When you need to repel mosquitoes, just dab a few drops of the mixture on your clothing or skin. How to prevent mosquito bite naturally when you want to sit outside? It can be done with a nice breeze. If it's possible, turn on a floor fan where you are sitting. Mosquitoes have a hard time flying when there are wind speeds above ten miles per hour. Keeping the fan lower to the ground is ideal since mosquitoes are more likely to bite the lower extremities of you as opposed to the arms. The wind from the fan should be enough to keep the mosquitoes from flying near you. Mosquitoes are attracted to water and it is where they will lay their eggs. If you have any around your home, there will be plenty of mosquitoes pestering you. Be sure to dump out any rainwater that has collected in buckets or barrels around your home and if you have a kiddie pool, be sure to empty it whenever you are not using it. You might think that a bug zapper is a great way to kill off those pesky mosquitoes when you want to enjoy a nice evening outdoors, but they can actually have the opposite effect. Bug zappers were designed to ward off larger flying bugs and not really a great way to kill mosquitoes. Mosquitoes may fly towards the light of the zapper, but once they get too close, they will turn and fly in the opposite direction since they are only attracted to dimmer lights. These outdoor zappers may keep the moth population down but they won't do much with biting insects like mosquitoes. 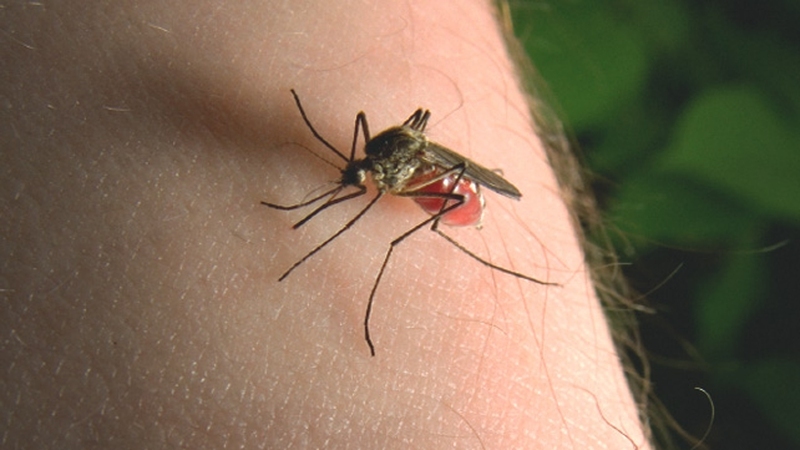 How to prevent mosquito bite naturally? Wear the right clothing. While you may not want to wear long sleeves when you head outdoors in the warmer months, you can find synthetic fibers that will keep you cool even when wearing long sleeves. You want to limit the amount of sweat you produce, especially if you are exercising, so this type of material is ideals as it keeps your skin protected from mosquitoes bites and keeps you cool. Be sure to wear sneakers as well. As mentioned, mosquitoes are more likely to bit the lower legs, feet, and ankles, so sneakers are a great way to prevent bites to these areas. Server responsed at: 04/23/2019 4:49 a.m.